In August 2018, we visited Lithuania. One of the biggest things they sell on market stalls is Baltic Amber. Its prevalent and comes in a variety of colours from a creamy white to almost black. The warmth of colour was a huge attraction for someone. like me, with a 'magpie' eye. Since Neolithic times, Amber has been appreciated for its natural beauty and colour. Used in jewellery, it's been used as a healing agent in folk medicine. It originates as a soft, sticky tree resin, amber sometimes contains animal and plant material as inclusions. 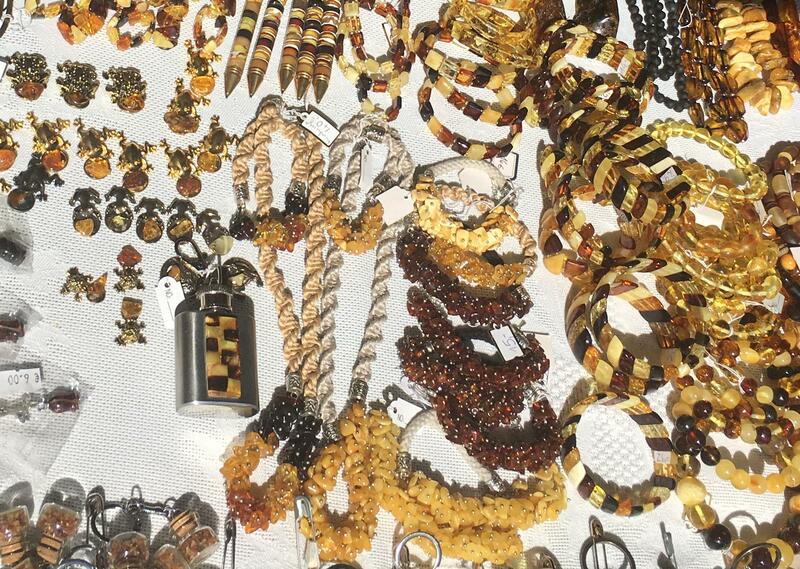 The belief that amber beads can relieve teething is largely based on the fact that Baltic amber contains the analgesic substance succinic acid. Fans of the amber teething necklace claim that baby’s body warmth encourages trace amounts of the succinic acid to be released onto the skin, which is then absorbed by the body where it works to relieve teething. Historically amber perfumes were actually made from Ambergris from the intestines of the sperm whale but no longer because the sperm whale is an endangered species. We've created our Amber aroma using Patchouli, cedarwood, vanilla and bergamot oils. It's warm, heady and soothing. This will be available in the range later on this year.